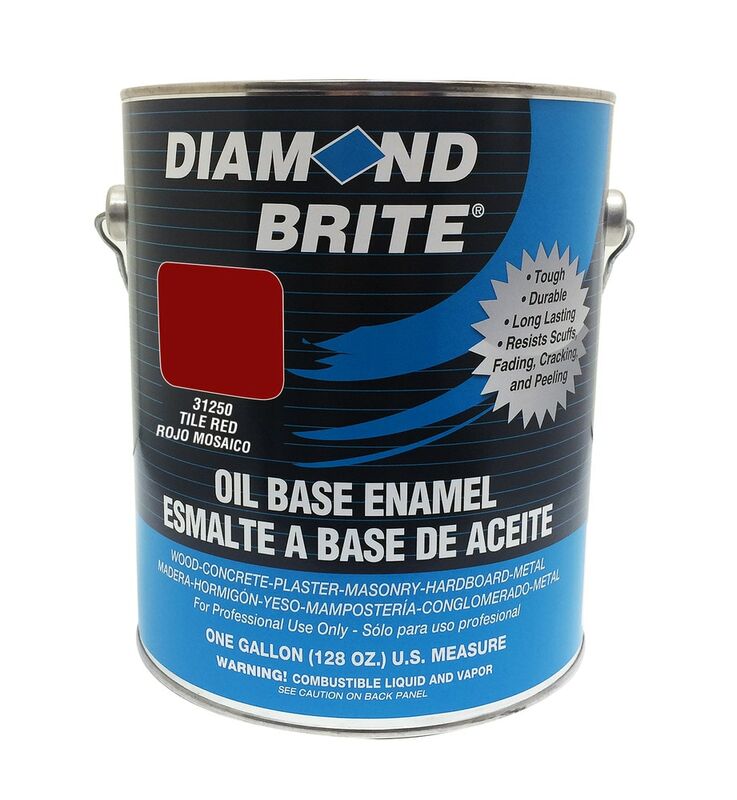 Diamond Brite Oil Based Paint products provide a professional quality, high hide, mildew resistant alkyd finish with excellent stain removal. It is a durable gloss enamel that helps protect interior and exterior surfaces against repeated abrasion, rust and a variety of household chemicals. This product is a excellent product to also use in industrial applications, machinery or commercial uses. It dries extremely hard. This oil based paint will stand up against surfaces that receive high traffic and use. Where to Use: Wood, Drywall, Plaster, Masonry, Metal, Well-bonded Wallpaper, Brick, Stucco, Aluminum, and Cinder Block. 6-8 Hr Dry Time. 24 Hr Recoat Time. 300 Sq. Ft Coverage per Gallon. Mineral Spirits Clean-Up. Protect from freezing. Features new 2015 shipping packaging and painting instructions.